There’s nothing quite like the classic Chick-fil-A Chicken Sandwich. But have you ever wondered what makes it so good – every single time? The precision that goes into the making of each handcrafted Chicken Sandwich is an expression of the care that founder Truett Cathy intended when he first created it. 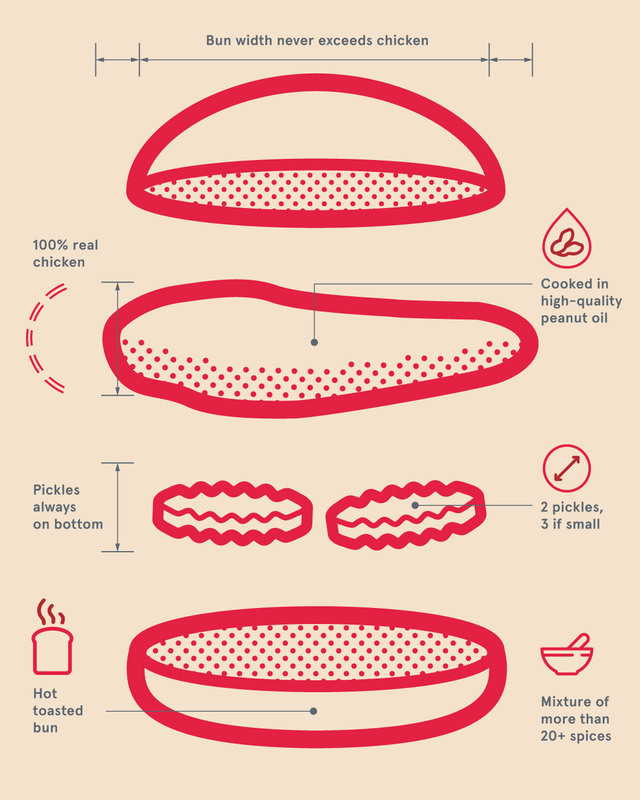 From the whole breast of 100-percent real chicken, to the carefully toasted bun, there are countless details – and a whole lot of love – in every Chicken Sandwich we make. Do you remember your first Chick-fil-A? Watch as these five people – including a vegetarian – try the Chick-fil-A Chicken Sandwich for the first time. Whether blitzing or dropping back into pass coverage, it’s that versatility and teamwork that former All-American Dat Tan Nguyen longed for after retiring with 516 tackles from the Dallas Cowboys. For Lynnae Schneller, living more than 2,000 miles from the Dallas plains in Seattle, the reality-TV contestant found she was in a pickle—spending more time behind the desk than with the customers she loved. She too was looking for something more. When Chick-fil-A Operator Ben Prine learned his restaurant in Cookeville, Tennessee, was due for some renovations, he was thrilled about the new investments to improve the customer experience. Yet the excitement surrounding those renovations was quickly tempered by a deep concern for the more than 80 Team Members at his restaurant.